It is obvious that Adsense is most popular and Highest paying website for the publisher, but a lot of times people dislike it for some specific reasons however, there are lots of decent paying website over the internet you may like. However, most of the time people like to have Adsense but is now harder to get approved from the Google Adsense for Websites don’t have huge traffic and Good ranking or because of Hard Term and Conditions of Google. 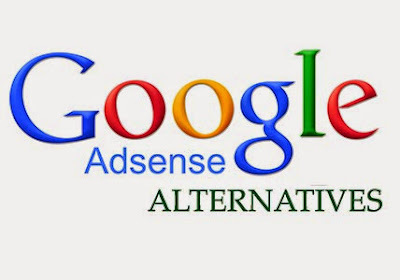 In this article, we have enlisted the best Adsense Alternative for a publisher they are not as good as Adsense in all aspects but decent enough to earn good amount of money. Parent Company - Bpath, LTD.
Payment methods- Paypal, Skrill/MoneyBookers, Western Union, Check, Bank Wire Transfer. Cash out- PayPal with a minimum of $10. Ad formats- Bidvertiser.com providing many types of ad formats such as Banners, buttons, skyscrapers and inline (Mobile) ads. Priority of bidvertisers.com is displaying the highest bidders first. Apart from that you can create and distribute your Own Customized Toolbar and Earn Money. Pirating, hacking, spamming and infecting & under construction or incomplete. Payment Methods- Paypal, Check or Wired Transfer. Publisher Share is up to 60%- 85% of the ad income. Clicksor shows CPV, CPC, CPM, and CPI based ads. It has contextual advertising technology. On the basis of Clicksor guideline, it is advised that Clicksor ad codes must not be modified from original format without consulting the Website Staff. Affiliate agrees to use the ad code provided for displaying Creative not more than ONCE per page view. Payment Methods- PayPal and Check. Chitika delivers search targeted ads and can use alongside AdSense. The ads of Chitika looks like Google ads. Only one of your websites should be approved, once you have been approved, you can use Chitika on any of your site. The auto-resizing mobile ad of Chitika makes monetizing of website for mobile traffic effective. Earn more for the traffic from Countries like USA, Canada, UK, and Australia. Payment Methods- PayPal, Payoneer, Wire, ACH. Types of ads Formats- InFrame, InSearch, InTag and InText, it shows PPC, CPC, CPM ads. In This website approval is easy and Publisher Share up to 70% of income and the best thing about Infolinks is that they don’t take Space for showing ads which don’t slow down Website load speed. Popcash is mainly CPM based Payment Methods- PayPal, PayZa, Paxum. Types of ads Formats- Popcash uses a popunder ad scheme which opens a new browser window hidden under the active/current window. And Daily payments method makes it more attractive for publishers. On the dashboard, you can see your daily earnings, total earnings, and last payment.